PLAYWRIGHT Ioanna Anderson has conjured a tangle of relationships, changing moods, memories, harrowing moments and occasional chuckles – a web into which is woven the essentially Irish problem confronting the couple who can't get divorced because there was a technical hitch with their wedding and they were never legally married. It is not to be confused with entertainment, but it is a joy of insight and interaction in the desperate story of a woman who is losing her mind; and of her devoted partner, Fergus, a one-time actor who struggles to keep his own sanity and hide his ever-worsening domestic situation behind his quirky observations as he moves between tragedy and anxious comedy. Peter Cooley is Fergus – unpredictable, uneasy, an essentially good man who gets most of the few amusing moments in presenting a believable picture of his battle with ever-increasing anxiety. 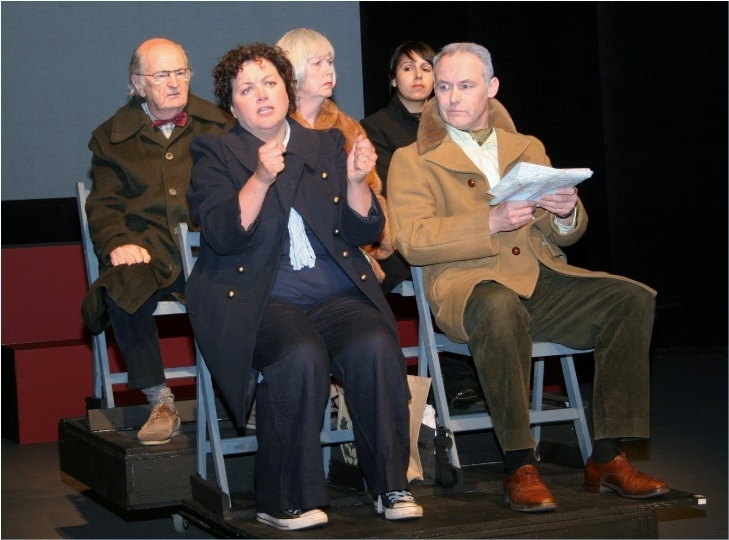 But it is Sandra Haynes, as Dorothy, the woman with the wayward brain cell, who holds centre-stage as we watch her inexorable deterioration to the heart-wrenching scene in which the ever-patient Fergus is trying to interest her by reading her a fairy story while she rattles her teaspoon ever more loudly in her cup. Two powerful performances are at the heart of the play, which is here receiving its British amateur première and which has only had one professional airing until now. Not that Barbara Garrett's production is merely a two-pronged affair. Lisa McCallion-Smith, returning to the Highbury stage after a gap of 20 years, is excellent as Katherine, the daughter who watches the final crumbling of beloved parents while her husband, the simmering Tom (Robert Hicks) finds another woman and prepares for a divorce that presents unexpected complications. Bhupinder Kaur Dhamu comes explosively to Delilah, Dorothy's forthright nurse, who was nine when her mother met a dramatic death. Certainly, it is not a bundle of laughs, but this is a play of substance that presents the problems that people have in the real life beyond the spotlights. Back projection works well in providing the varied settings in which the action is played out – action which intermittently finds room for illuminating remarks, such as the one that points out that talking to yourself is remarkably informative. To 14-05-11.